Optimized for spin, the KBS HI-REV shaft delivers a unique blend of shot control and increased ball spin for approach shots and greenside lies. 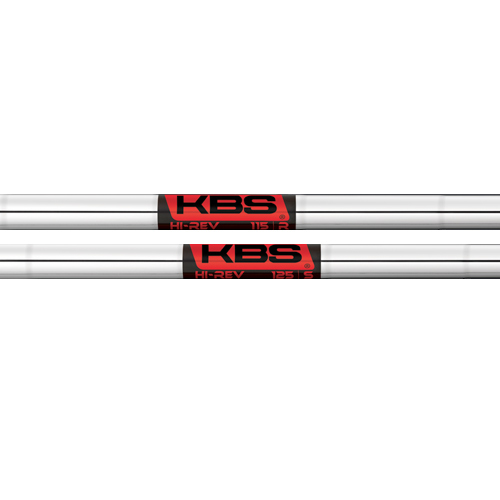 Designed to complement the KBS TOUR Series, the KBS HI-REV shaft will blend seamlessly in flex while incorporating an active tip section for soft feel around the greens and maximum ball spin inspiring confidence. 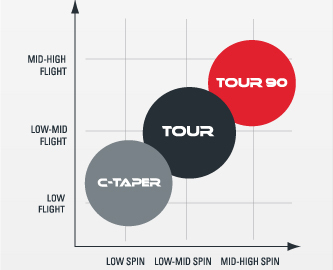 Available in three flexes and weight categories ranging from 115g - 135g -- the KBS HI-REV shaft should be fit for players desiring more spin in proximity shots.